Hi everyone, I hope you're all having a fantastic week! I have some really awesome news for you today. 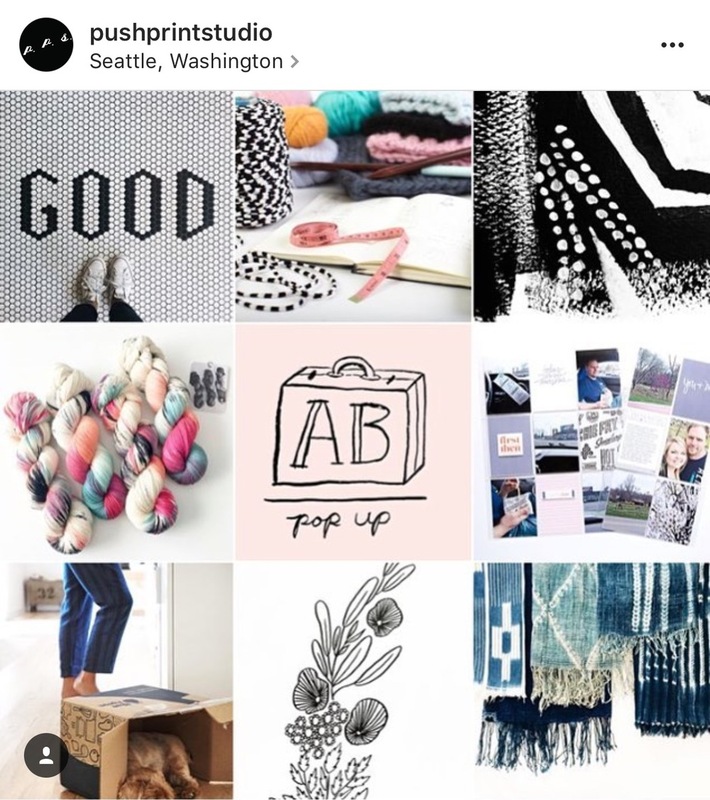 If you haven't already read last week's post about the Instagram movement #CraftCreateConnect, then you'll want to do so now! This week, we are taking the movement one step further... Our sweet friend Alex Hunter of Alex Hunter Designs has created a simply stunning graphic for us to share on our Instagram boards/accounts and blogs! 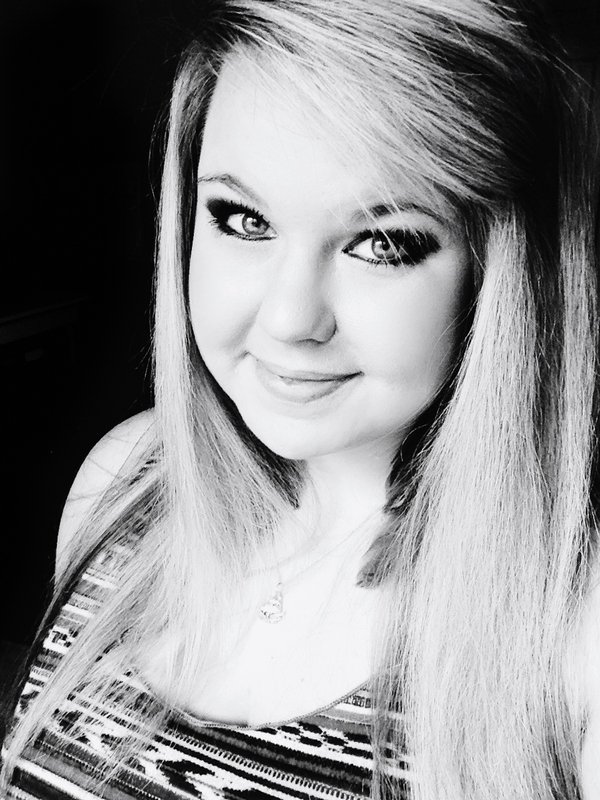 Isn't she amazing?! Just click the image above to download your own copy to share! Seriously, what is more fun than sharing inspiration and love around the creative community? Last week, many of you immediately joined in and played along. 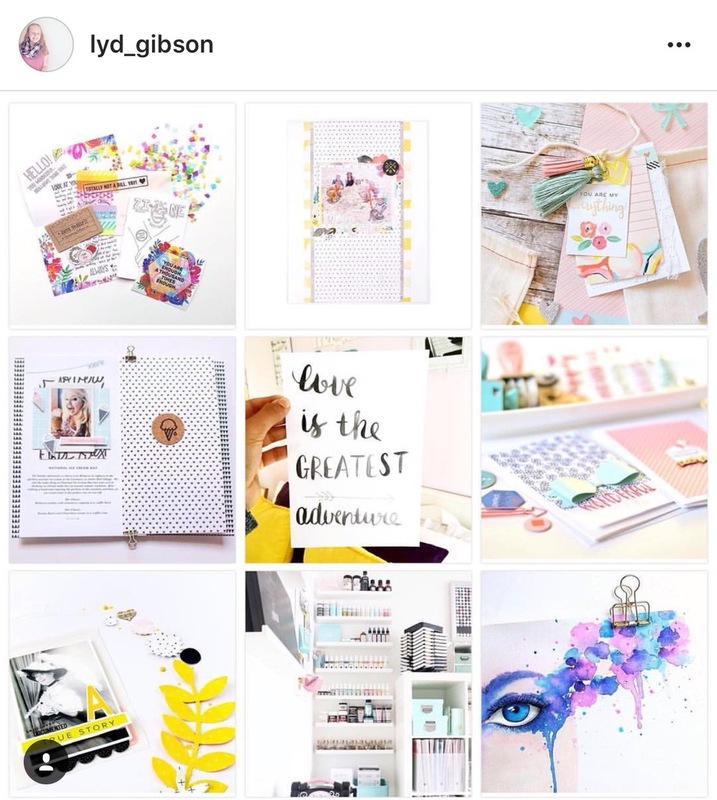 In fact, just look at these gorgeous boards I spied on Instagram under the hashtag #CraftCreateConnect! For me, personally, this movement is about the inspiration and encouragement I receive online from the creative community and giving back! Uniting together as crafters and encouraging each other to build community, share joy and invoke love. JOIN THE MOVEMENT on Instagram! Here's how to play: Once a week or so, go to your profile, click the little gear in the top right corner and choose "Posts You've Liked". 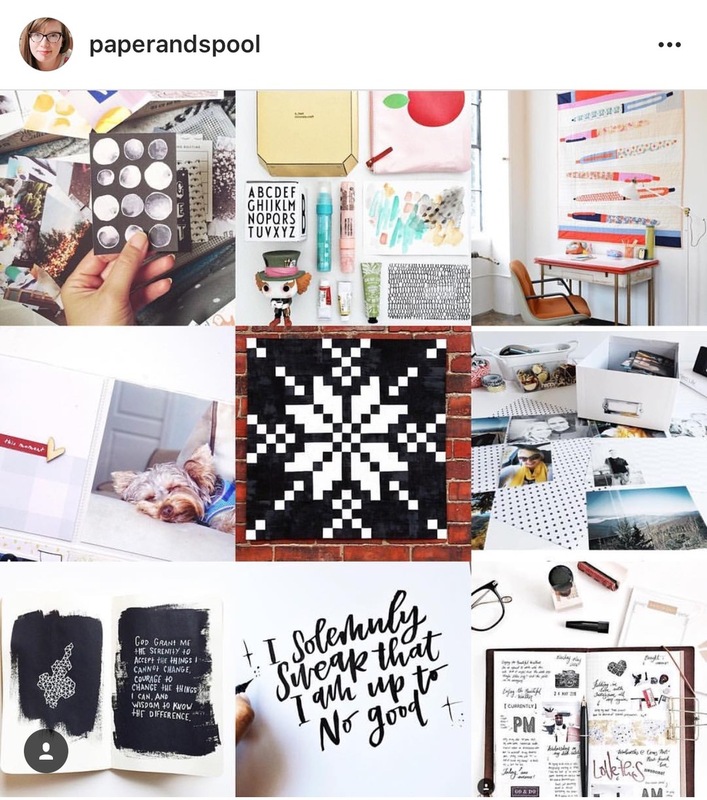 Screenshot your faves, repost and tag the people who inspired you this week, then share under the hashtag #CraftCreateConnect! You can share one image or one hundred images anytime! 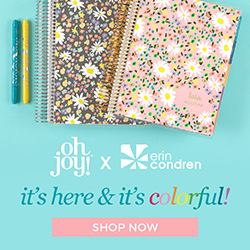 ANNOUCING ERINCONDREN.COM | Planners, Stationery, Notebooks, Home Decor and More! INTRODUCING JOURNAL CARDS! 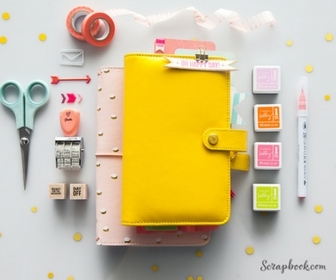 NOW AVAILABLE - Perfect for digital and hybrid pocket page scrapbook enthusiasts and modern memory keepers! #CraftCreateConnect - Join the Movement! | Uniting together as creatives to build community, share joy and invoke love. Hello Friday and Hello Friends! In today's world, our hearts sometime grow very heavy with darkness that happens around us and is constantly touted by the news media. It is something that weights heavily on me as I pray for our country and those around the world facing trials and division. Shining a light in the darkness seems to be the only way. No matter how dark the day, I'm always delighted and overjoyed to scroll through my Instagram feed. There, hundreds of beautiful women share their crafts, creations, memory keeping projects and ultimately their hearts. I have been so blessed by the incredible community on Instagram and enjoy finding ways to share and spread the love I receive there. Uniting together as crafters and encouraging each other builds community, creates joy and invokes love. Today, I'm inviting you to JOIN THE MOVEMENT on Instagram! Once a week or so, go to your profile, click the little gear in the top right corner and choose "Posts You've Liked". 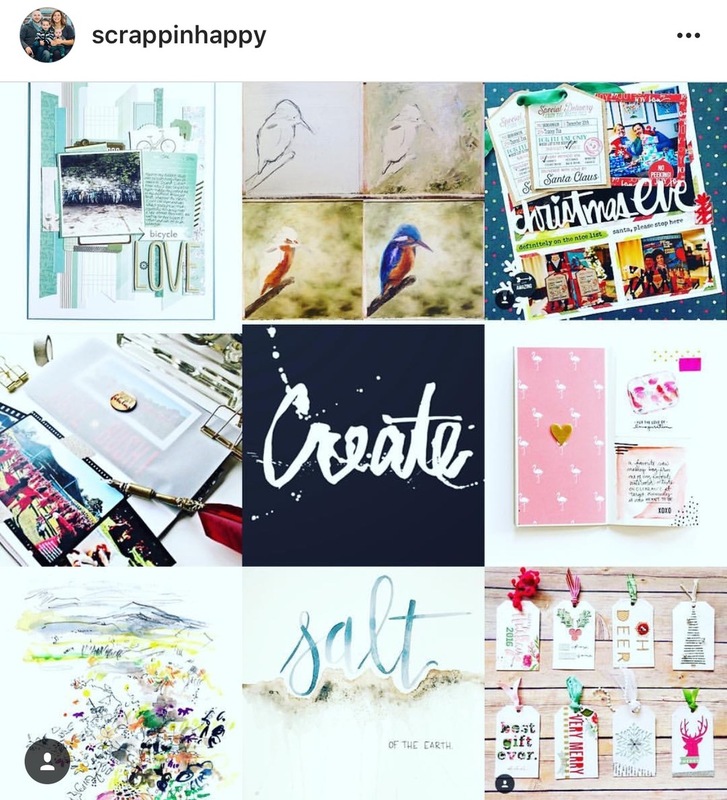 Screenshot your faves, repost and tag the people who inspired you this week, then share under the brand new hashtag #CraftCreateConnect! Hi friends! Just a quick note to let you know that I have a New Release in the shop today! 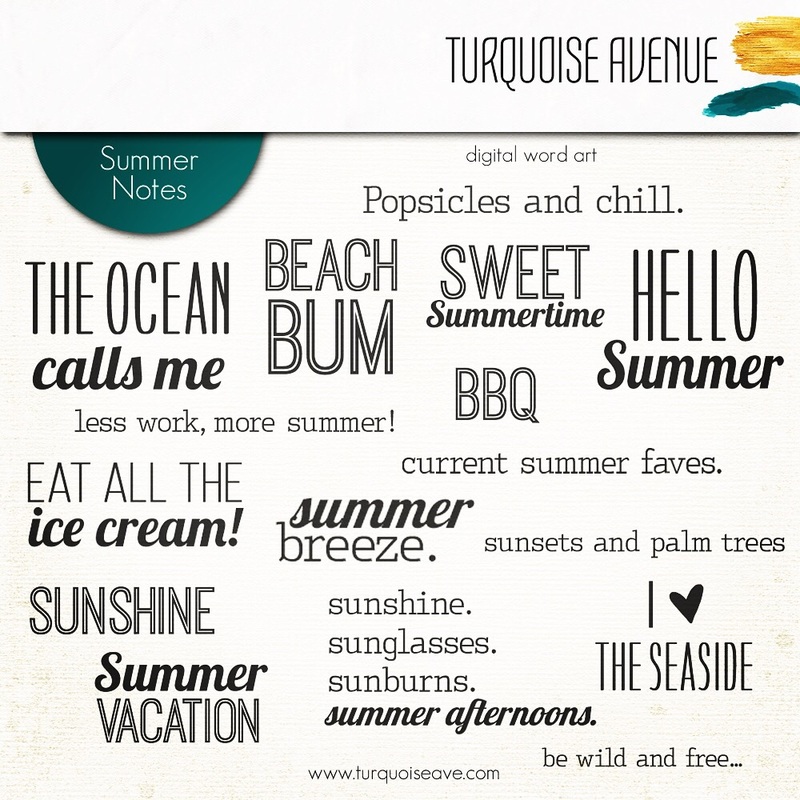 If you're a hybrid or digital memory keeper like myself, you're going to love this set of 16 digital stamps featuring doffernt summer theme phrases. 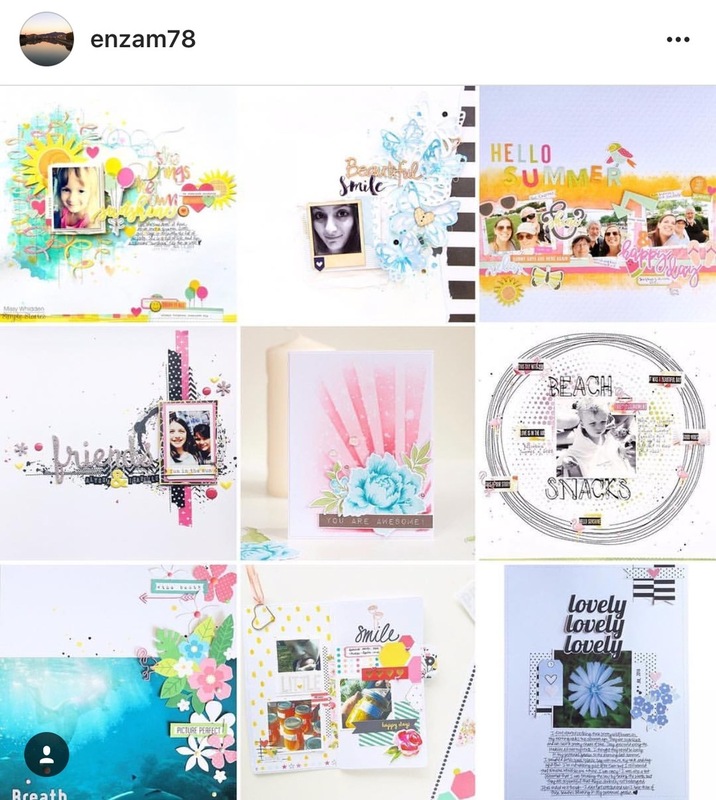 These versatile word art pieces can be used as overlays, to create 3x4 cards and as digital stamps. Happy shopping! I can't wait to see what you create! This year, I opted not to choose a "One Little Word". Every time, I tried to think about a word for me, I kept coming back to a feeling I wanted for this new year. The feeling I wanted to create was one of calm, quiet, focus, and deep personal convictions. As I thought more about it, I felt God calling me to a sense of time with Him, in prayer, looking for guidance and strength. Recently, a good friend of mine suggested I start, and keep, a prayer journal. I found the idea really intriguing and while I've kept journals all my life, I'd never kept a prayer journal surprisingly. I was anxious to start, but waited a few months to think through the process of how I wanted to keep the journal. I have decided to keep it private for obvious reasons so I'll only be sharing a little bit here today. This isn't something I'm sharing to boost my pride, but rather something I thought you may be able to benefit from. I don't take my time with God lightly and I don't desire to promote it. My prayer time is personal, private and where I find my daily encouragement when times get tough. Because of my prayer time, I can find positive things that help me remain cheerful, optimistic, and in tune with my surrounding and circumstances. I love that about my personal relationship with God. I love the grace and mercy I find there, in addition to the solace and love I receive from Him. So without further ado, I thought I would share a little bit about my prayer journal. It is a simple lined notebook I picked up at my local Michael's Craft Store. I then divided it into sections, beginning with delight so I can jot down the daily joys I'm thankful for. Next, I created a space to pray for my husband and our marriage. After God, my spouse is the second most important thing to me and I desire to have a strong, Christ centered marriage that outlasts the test of time. Third came sections for family and friends, then a section for me to write specific prayers for myself. Last, I dedicated the rest of the book for answered prayers, praises, and notes. I printed these sections out on clear vellum and then adhered them to the pages with washi tape. I have recently added this set of journal cards to my shop so you too can enjoy them. In addition, I wanted to offer one of my favorite scriptures (paraphrased) as a FREE PRINTABLE that you can download as encouragement in your own walk with the Lord. I thank you for taking the time to read this today and please, feel free to share any prayer requests that you may have as I am more than happy to pray for you also, my dear friends and readers! Much love! 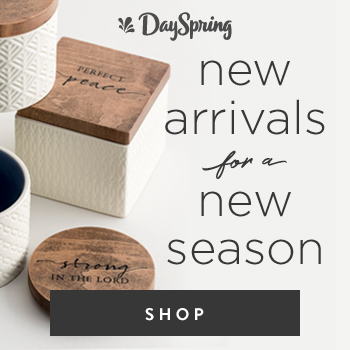 Click the image on the left below to download the free, printable Scripture card pictured on the right. #The100DayProject | 100 Stories in 100 Days - Sparking creativity across the globe! Using Digital Stamps for Hybrid and Digital Scrapbook Pages PLUS, New Releases from Kellie Stamps! One Day Only | FLASH SALE FOR CREATIVELIVE! 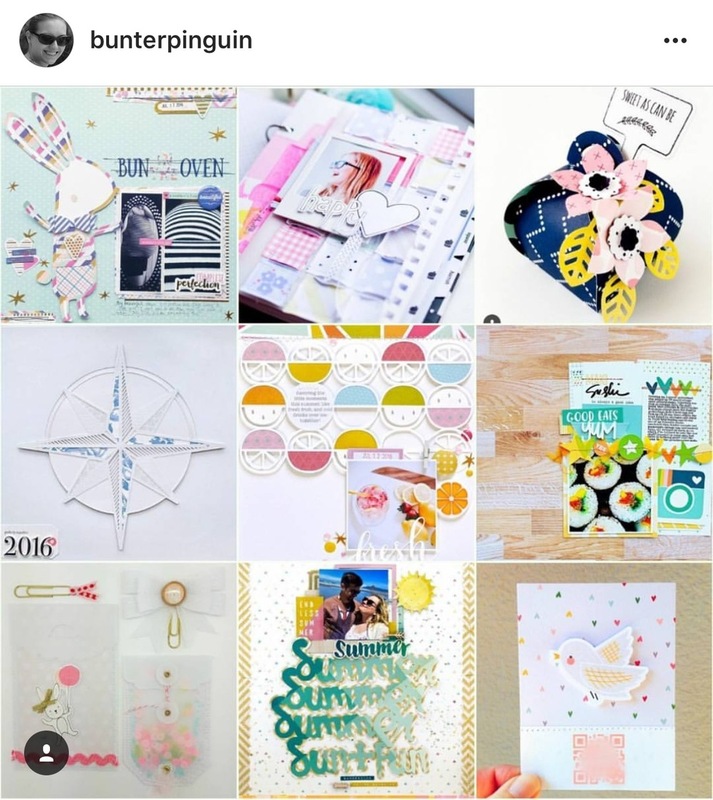 Scrapbooking Classes 25% Off! Good Morning and Happy Sunday my friends. 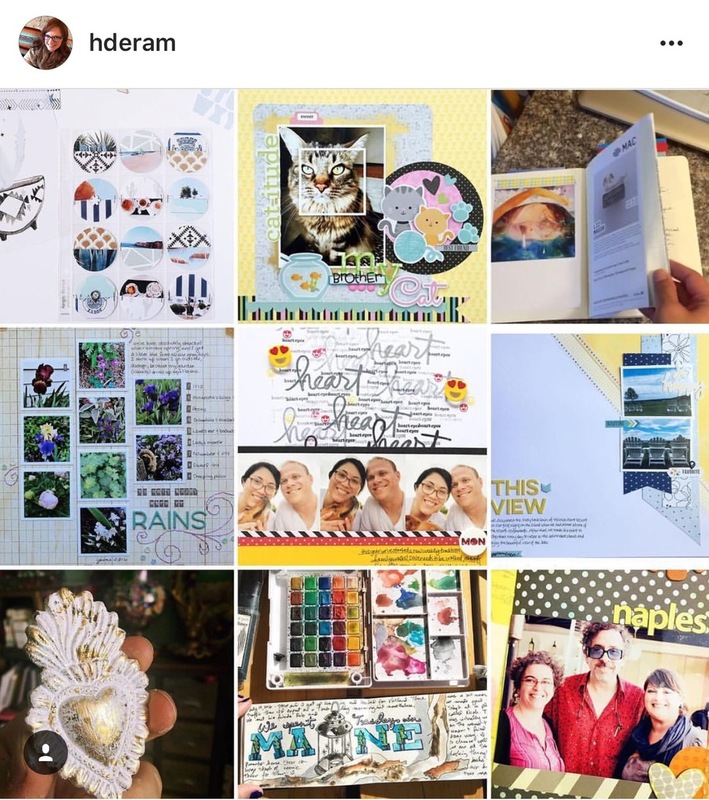 Several years ago, while browsing the internet for ways to store my Instagram prints, I came across the Project Life system by Becky Higgins. That same week, Becky aired on Creative Live, talking about the system and it opened a whole new world of memory keeping for me. I couldn't pry my eyes away from her class. The system, the knowledge she shared, and her bubbly personality drew me right in. I was hooked. Today, I'm happy to share that Creative Live has that class available, with a special discount for my readers! In addition, I'm also featuring two of my other favorite classes for scrapbookers. Grab them while you can, this sale is good for one day only and applies to ALL the classes available! 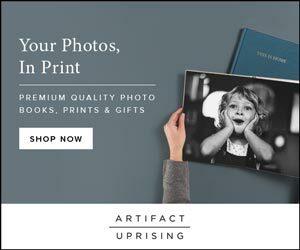 CreativeLive Flash Sale! Get 25% off all classes - 1 day only! How to Work from Home Selling Your Arts and Crafts! Working from home was always a dream of mine. Making money doing something I love - that was an even bigger dream! With a little hard work and determination, it can be yours too! Last year, I launched my Etsy shop to sell items and gain an income while working from my own home in order to support my crafting habits. It was one of the best decisions I ever made! If you're interested in doing something similar, you can get tips and insights from industry experts on how to get your creations in front of as many people as possible— online and offline— with special classes from CreativeLive! One of CreativeLive's top instructors, Megan Auman, is offering unique classes on how to market and sell your products. If you want to successfully monetize your craft making, her courses are highly recommended. What's more is that between January 11th and January 15th, her classes and all Etsy-related classes will be on sale! 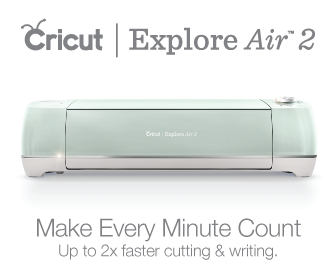 Sign up today and start making 2016 your most prosperous crafting year yet! 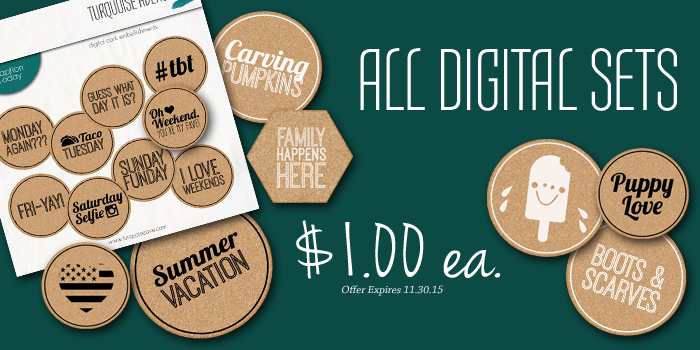 Offer: Save on Megan Auman and Etsy classes and sell more crafts in 2016! When I started this blog at the beginning of 2015, I first desired just to have a space to share my thoughts and what I'd learned in my years as a self proclaimed memory keeper. I set a few goals and created #hashtagthisweek as a way to give back to the community that was inspiring me so much. I never imagined the popularity and growth this blog would suddenly take on. I am so passionate about memory keeping and the things I share here; I merely hope to inspire others in their own lives and journeys. So, as twenty-fifteen comes to a close, I want to take a moment to reflect on a year that brought about new friends and exciting new opportunities. I also want to thank those of you in the creative community who have commented, shared, taught, encouraged, and uplifted me along this fun, creative journey! I wish you all the best in the upcoming new year and I'm excited to see what it holds for us all! 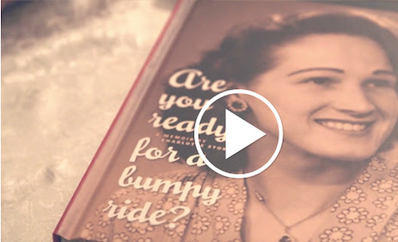 #MySelfieScrapbook - A Finished Project | 8x8 Hard Cover Photobook from Shutterfly! Happy New Year | 2016 Memory Keeping Goals + a Giveaway! DIY IDEAS - The Best Place to Find Inspiration for Creating Handmade Gifts and Decor During the 2015 Holiday Season! 12x12 Project Life Layout in Under 30 Minutes! Featuring One Little Bird Designs and Mini Flair by Feed Your Craft! Simple 12x12 Layout | Featuring One Little Bird Designs "Frolic"
NEW! Days of the Week Cork Stickers, ADD ONS, and DIGITAL stickers! 5 Fun Things To Do This Summer! MY 2016 DECEMBER ALBUM - A HOLIDAY MEMORY KEEPING PROJECT WITH LINKS TO PRODUCTS SHOWN! Who's ready for Turkey Day? I am! (I think!) While I haven't gotten much time scrapbook as of late, I have put up my Christmas tree, decorated our home, and added several new sets to the shoppe just in time for the holidays! This weekend, I'm offering all kinds of savings for you to enjoy - starting on Friday! FREE SHIPPING (U.S. Friends Only) - on any order over $15 using code FREESHIP15. ALL DIGITAL SETS $1 EACH! PLUS, any order that includes a physical set will get this bonus ADD ON! All offers shown above expire 11/30/15. And, if that wasn't enough for you, I also have a DIGITAL FREEBIE for you to grab today, simply because I appreciate each and every one of you and I'm thankful for your support, encouragement, and business! Lastly, as many of you know - Small Business Saturday and Cyber Monday are also happening this coming weekend. Here are a couple of my dear friends and fellow creatives who are also holding sales - I hope you enjoy their products as much as I do! Photo courtesy of Alex Hunter Designs. Please do not copy or steal. Craft Room Essentials: Workspace Wednesday Tour and Must Have Tools! As any good blogger does, I occasionally check the 'search inquiries' that my readers input on my blog here. This helps me see what type of content you're looking for and how I can add posts to assist you. Recently, I had noticed a trend towards tools I use and what printer I have. While my poor, old printer is a Canon cheapo from Walmart that is no longer sold, many of my tools are available for purchase from Amazon! I was able to put together an entire page of items that frequent my craft room and would love to invite you to view it! I'll keep it updated on a regular basis, so be sure to check back often. Tell me, what are your favorite tools and craft room essentials?